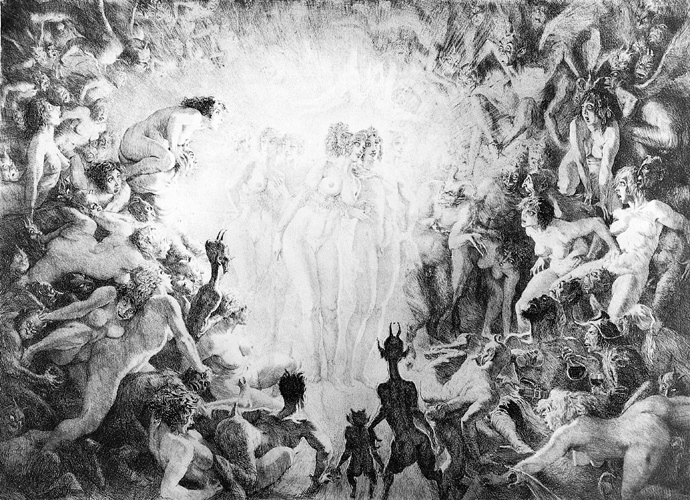 Norman Lindsay Facsimile etching titled Visitors To Hell is available from Etching House. It was published 2004 and the image size is 32.8 x 45.3 cm. The original etching was done by Norman Lindsay in 1938 to a edition only of 25 only. Reference material on this etching is available in the Book titled – Norman Lindsay Etchings: Catalogue Raisonné 2006, cat.375. The original etching was the largest plate Norman etched and is his last published etching.